Food Labels – A Barrier to Ethical Choice? Food packaging labels provide copious amounts of information, nested amongst clever branding ploys which can greatly influence our food choices. There is an ever growing trend to include food certification stickers which supposedly offer more ethical codes of conduct, passing certain standards before food can bare such logos. Stickers such as ‘RSPCA assured’, ‘Rainforest Alliance‘ and terms such as ‘free range’ and ‘grass fed beef’ all imply positive connotations about the source of these products in terms of animal welfare and environmental impacts. This can be especially important when consumers shop with the intention of buying ‘ethically’ and believe that purchasing produce with these labels supports causes they believe are important. Of course the whole concept of ‘ethical consumption’ is somewhat vague and is not confined to concerns over animal cruelty and environmental issues, but it is just one avenue discussed here. Unfortunately, a lot of the time these labels can be misleading and offer a significant barrier to enabling consumers to make well informed decisions about food. After doing some research into what many of the common food certification logos actually mean, I was surprised to discover how little they offer. 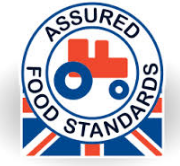 This red tractor logo associated with the ‘Assured Food Standards’ organisation is a common image found on meat products. After visiting their website (which is saturated in images of open pastures and farmers hugging pigs), it is clear to see that they pride themselves on providing quality animal welfare practices. These include providing ‘adequate space, and safe and comfortable housing or shelter1‘ and they try to ‘minimise the impact their farming practices have on wildlife, fauna and flora1‘. These are somewhat arbitrary terms and very subjective to whoever is defining them, allowing some leniency in their codes of conduct. For people visiting this website, I have no doubt that it reinforces their view that in choosing products with this certification, they are making a rational, informed and ethical choice. Ironically, in a report by Compassion in World Farming2 (CIWF) they scored very low on the very aspects they pride themselves on. Major improvements were recommended on areas such as providing ‘adequate space when housed’ and ‘adequate outdoor space’. They still allow cruel practices such as confinement of sows during farrowing, inappropriate transport duration to slaughterhouses, mutilations and permanent tethering of dairy cows2 which is mentioned nowhere on the AFS website. This certification is commonly found on eggs, claiming to exceed a number of minimum animal welfare requirements including ‘the banning of induced moulting, additional staff training procedures and procedures for the handling of end-of-lay hens’3. However in reality, offers little more than the minimum legislative requirements. 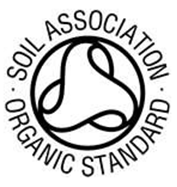 This trademark has scored very poorly in the study by CIWF2 which assessed a number of issues relating to animal welfare and did not even achieve the minimum bronze standard in some cases. This trademark mainly ensures that hens are British and have been vaccinated against salmonella. Other than this, it is clear that it offers very little and definitely lacks a degree of ‘quality’, despite the name. Before conducting this research, I was unaware that this label included measures concerning animal welfare since the logo alone gives the image of purely environmental concerns. This illustrates another issue with such certification stickers – it is hard to tell what exactly they are offering just based on the logo. In the report by CIWF2, SA exceeded a lot of other certification labels (such as RSPCA assured) on animal welfare. As far as certification stickers go, this one offers some of the higher standards and is quite a good one to look out for. Out of all the labels discussed here, I would have assumed RSPCA Assured would require the highest animal welfare standards, yet it appears this isn’t the case. It scored lower on many welfare factors in the the CIWF study4 and condones the use of indoor rearing techniques and mutilations which are arguable cruel. It is important to remember that ‘ethical’ and ‘adequate’ practices in farming are arbitrary terms, and what consumers may hope and think are ethical, are often not deemed necessary in the eyes of the law. The minimum requirements for farm welfare are extremely low, allowing cruel practices such as debeaking without anaesthetic, tethering cows and tail docking. Any label that offers practices higher than minimum standards may still be deemed largely unethical compared to such a low baseline. Ultimately, 80% of chickens, 45% of laying hens and 75% of breeding pigs are factory farmed in the UK5 – food certification stickers give the impression of consumer choice, yet this statistic largely suggests that most meat comes from the same place and differences in conduct are minor. What is the point in food certification stickers? Neoliberalism allows the food industry to operate without strict government regulations on advertising and labelling and this has contributed to an ever growing disconnect between consumers and producers. ‘Animal welfare’ and ‘environmental sustainability’ are now commodities in which the free market can utilise in order to charge higher prices for their goods, thus creating the industry of food certification stickers. This prevents demand side factors from influencing changes in the food system since consumers are so hidden from the common realities of animal farming and continue to buy what they believe are ethical produce. Even from my own research I found it very difficult to find clear information about what standards these labels adhere to which don’t include arbitrary terms such as ‘adequate’ and ‘comfortable’. Greater government regulation should ensure that packaging clearly reflects the circumstances under which these items were produced and that information be more easily obtained for those interested in making ethical choices.